It’s the early, early morning hours on the readathon time clock, but we are still moving and grooving all over the world. As I mentioned, early in the ‘thon, I’m normally the only one behind the scenes for 24in48, which means that there are many hours here where nobody is manning battle stations. But because of the magic of pre-scheduled content and alarm clocks every three hours, I was able to squeeze by. Now that I work on the other side of the world from the official readathon time zone, you’ve got someone here 24/7 keeping the lights on. Here’s a few more random door prize winners if you’re still awake slash in the middle of your day like me. You’ve also got three more hours to enter the Hour 24 Stacks and Snacks challenge. Only just midnight here on the west coast, but I’m still pretty tired so I switched to The Princess Diarist instead of my more challenging reads! I’m sorry for the typos. I’m writing this from my phone and I haven’t noticed before I clicked post. It’s another Californian still awake since it’s only midnight here. Gonna power through another hour or two before snooze time. Thanks again Rachel for hosting this event. I’ve met and connected with many new friends already from all over the world. Wishing all the West Coasters good reading time and the East Coasters a peaceful sleep. It’s 8.30 in the morning here in the UK. I’m just about to make another cup of tea and read another short story from Rachel Joyce’s A Snow Garden & Other Stories. I just woke up again! It’s 9.30am over here 🙂 ready to start reading again! Hour 27 check in and I’m reading away. It’s midday where I am, and I’m enjoying chilling between the pages. 15.5 hours of reading logged here in Sofia. Brewed more tea and looking to finish book 2. 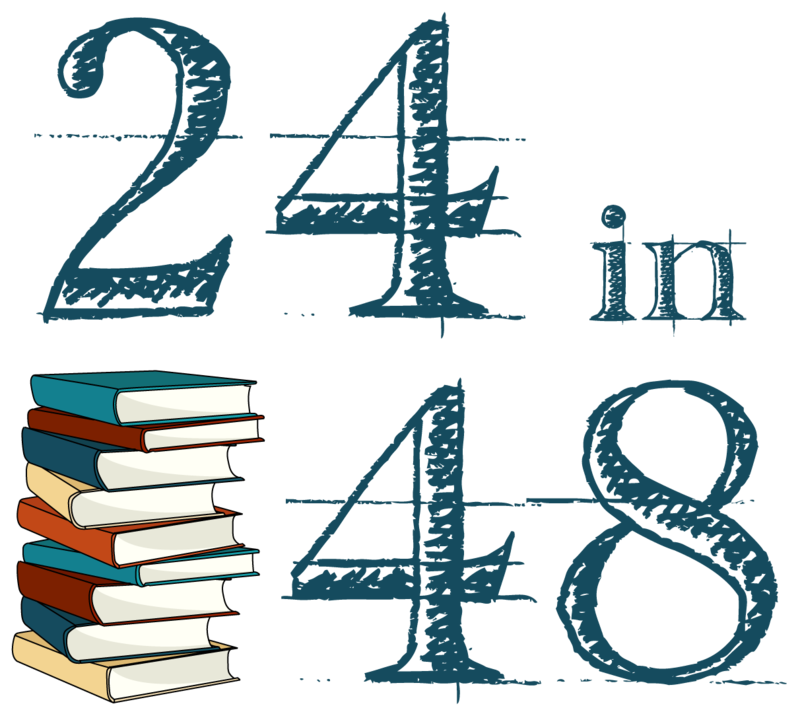 Not sure when you posted as I was caught up in my reading…but it’s just after 4 am here and I just finished my 24 hours! Granted, my weekend starts on Friday mornings so I’m not quite as ambitious as this may first appear. I got my 24 hours with about 17 minutes to spare. Now that I’m done, though, I’m in the middle of book 5 and I’m thoroughly engrossed, so while I wait for the sun to come up, I’m going to keep on reading. Great to see the progress everyone has made. I meant to take a nap last evening. Six hours later…here I am. Seeing this much later as a wromg number woke me up! Now that I’m awake I guess I get a little readimg time in.